Do you know of any Indigenous or racially diverse filmmakers, who would like to be eligible for $125,000 of funding towards their first feature film or web-based narrative work? Reelworld Film Festival is a recognized partner of Telefilm's Talent To Watch program, and offers access to this funding. Through our Emerging 20 program (E20), twenty applicants are chosen each year to pitch their projects to industry professionals. Reelworld provides professional development in September with two days of workshops, and one day during the festival October 11 to actively pitch their projects one-on-one to several industry executives. Deadline: August 17th, 2018 at midnight EST. After the festival, participants garner an opportunity to submit their projects to Reelworld for consideration in submission of the Talent to Watch program in March 2019, where they could be chosen by Telefilm to receive $125,000 in funding! After last year's festival, E20's Lulu Wei and Nayani Thiyagarajah had their projects submitted to Telefilm and both received $125,000 each towards their project. Who will it be next year? 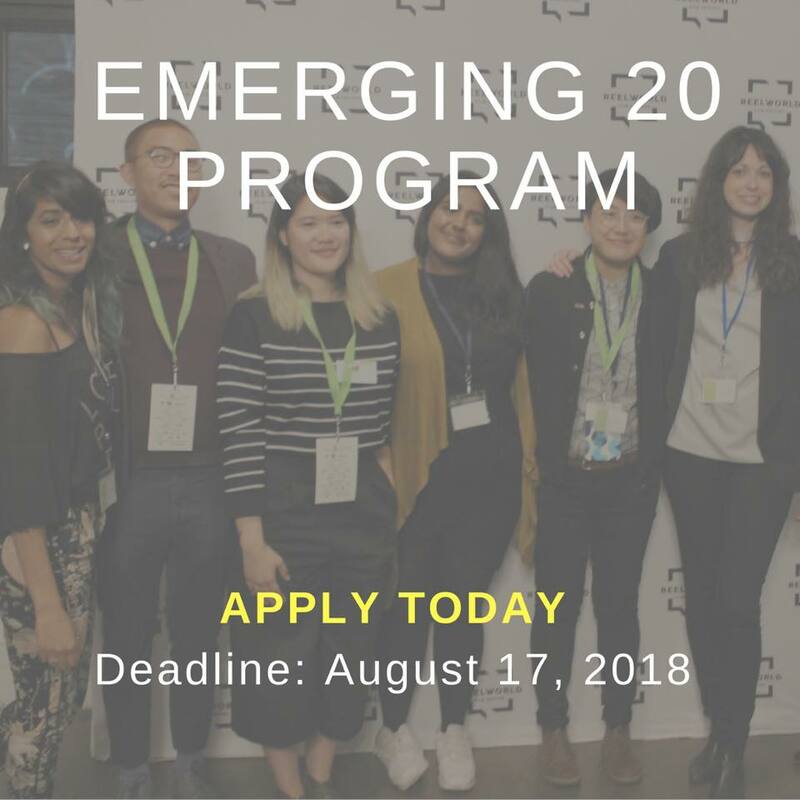 The Emerging 20 program is supported by the Inspirit Foundation and the Ontario Media Development Corporation.